I'm having issues getting the game to load using the emulator. are you trying to run the .img file inside your Disc ? Could be, I'm really new to using this. Kind of at a loss on what to do with it though. 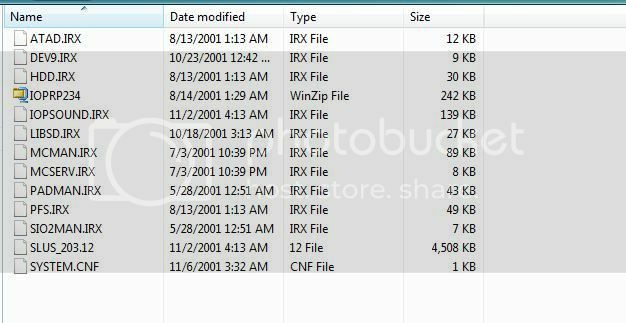 The remaining files are .IRX files, .12 File, and CNF files. I've read the guide and FAQ several times already, however I'm still at a loss as to why the suggested fixes do nothing for me and continually prompt the same errors I listed above. Imgburn tells me it is an unsupported file type. I've also tried burning all content to CD and loading that way and the pcsx2 tell me I need to insert a playstation or ps2 disc. Huh? You just put the disc in your DVD rom, open imgburn and click Create image file from disc. How hard can that be? I have daemon tools lite and Imgburn. My next step is supposed to be? Thanks in advance.